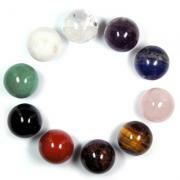 Large (1" to 1-1/2") - 1pc. 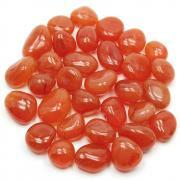 XL (1-1/2"- 2") - 1pc. Spodumene Natural Chips/Chunks "Extra" (Pakistan) - These are "Extra" high quality Spodumene Crystals that were mined in Pakistan. 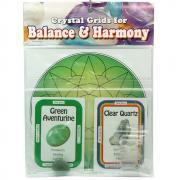 These Spodumene crystals have a very high clarity and often have visible grow lines on the surface of the crystal. Spodumene is a form of the same mineral as Kunzite and comes from the same mine. The crystals that form as pink or purple are called Kunzite, those that form as white or clear crystals are called Spodumene, and those that are green or yellow are called Hiddenite. 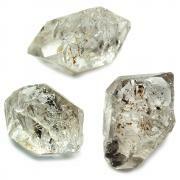 Pakistani Spodumene is whiter in color, while our Brazilian Spodumene is mostly ice-water clear. We are selling this Spodumene in gram ranges and also as individual specimens, and the sizes vary due to thickness more than length. 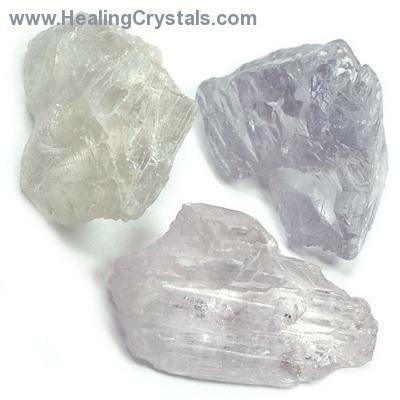 This rare, clear Spodumene is excellent for achieving deep, meditative states, allowing for a connection with the Divine and a deep sense of peace. This particular variety of Spodumene focuses on the Crown Chakra and transmits energy down into the Third-Eye, Throat, and Heart Chakras. 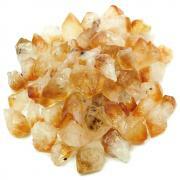 Holding Spodumene helps to clear away negativity by raising vibrational levels of the various subtle bodies. Affirmation: Through meditation I am filled with divine peace. 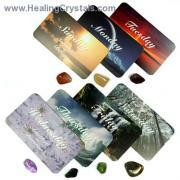 Question: Do you have a favorite meditation crystal?